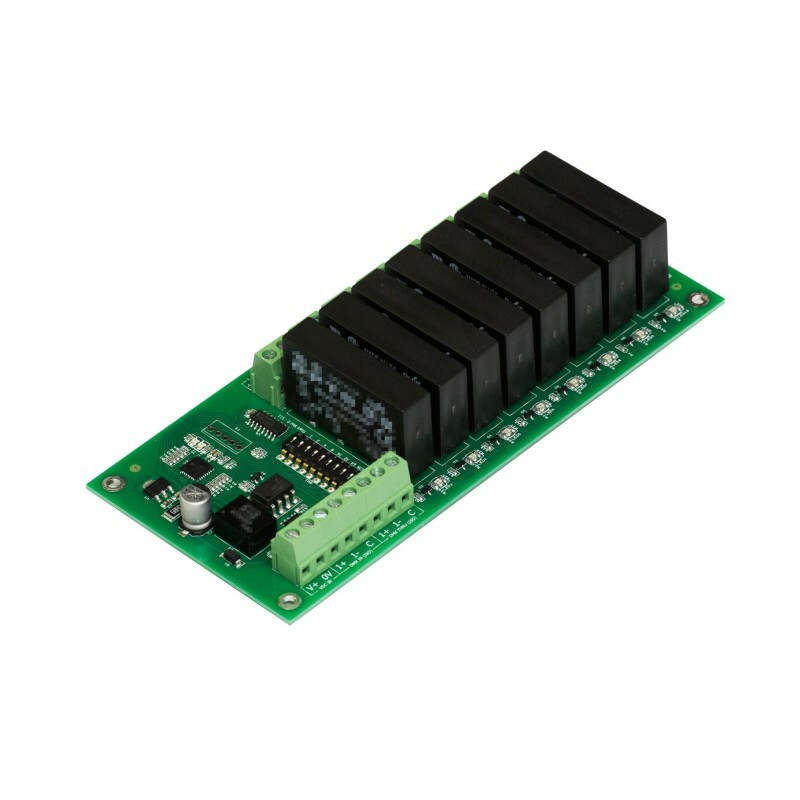 The DMX-SSR8 is a DMX512-A compatible, 8-channel solid-state relay (SSR) output module. 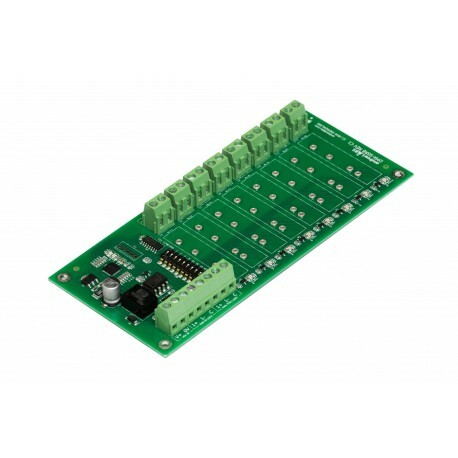 The module is capable of switching up to 8 loads from 8 DMX slots. 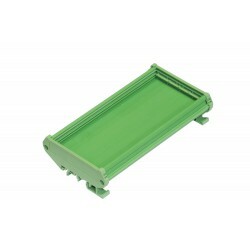 This module accepts up to 8 customer-replaceable solid-state relays installed in pin sockets. 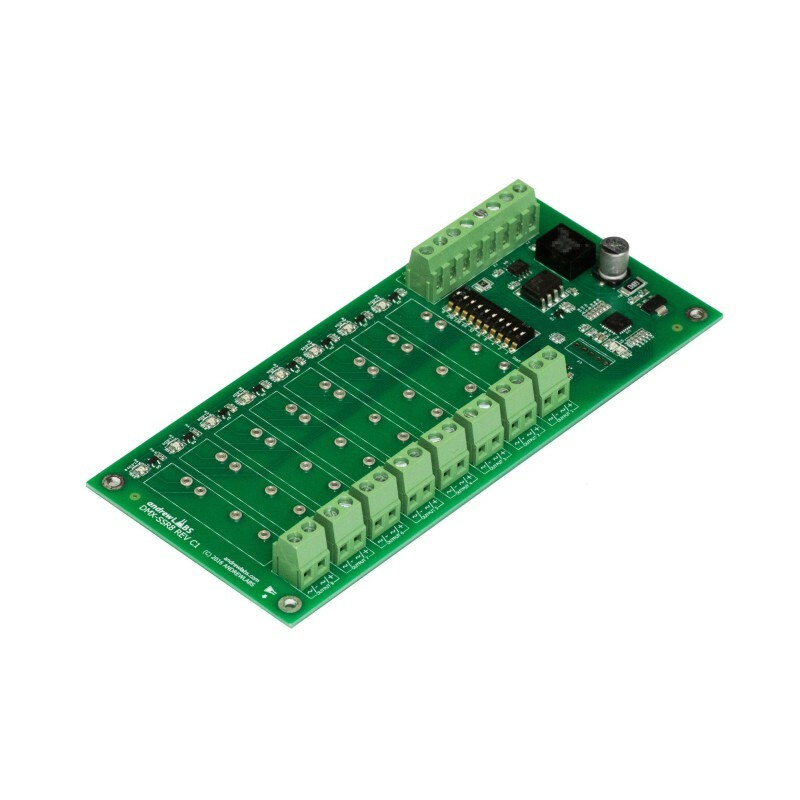 Both AC- and DC-load SSR types working with a control voltage of 5 VDC are supported. 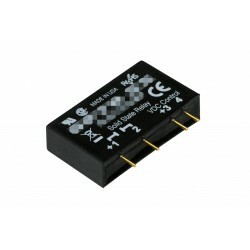 Solid-state relays are not included.